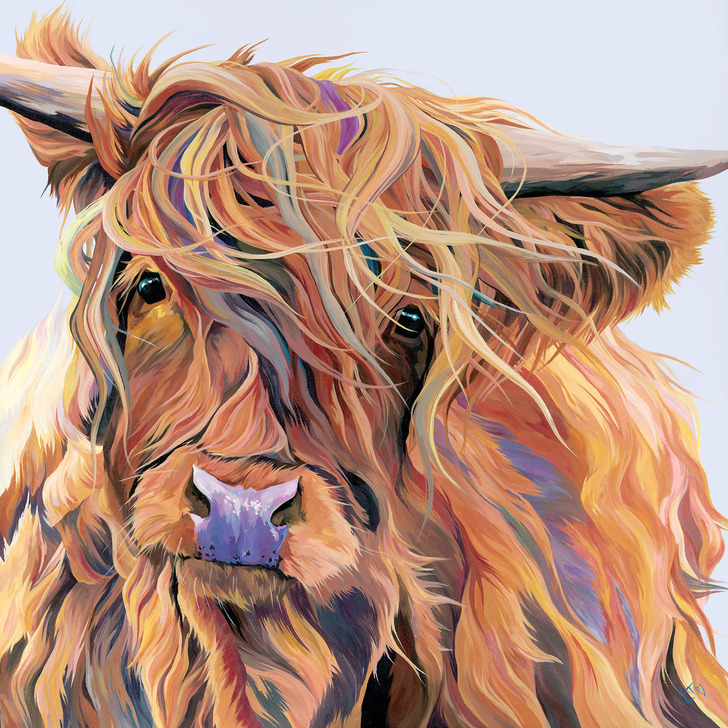 Meet Scarlett, a beautiful Highland Cow on a gusty day. 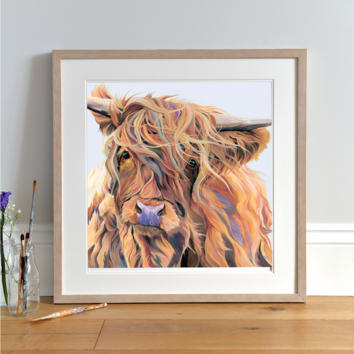 Highland Cows are known for their resilience to the elements and the serenity and composure of this little lady even on the windiest of days makes me smile time and time again. I named her Scarlett after leading lady Scarlett O'Hara from classic romance 'Gone With The Wind'. 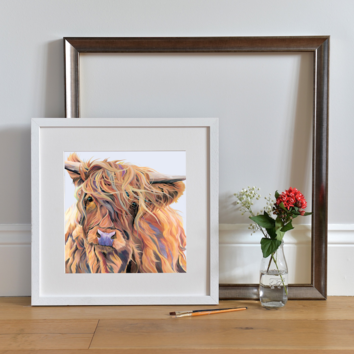 Paired with the spectrum of coppers, reds and crimsons in her shaggy coat the name suits her perfectly! I adore the movement and life in this painting, you notice another different colour every time you see her.